Software-defined networking has created a huge buzz in the telecom space over the past several years, and that enthusiasm is showing no signs of dissipating. Early adopters have already discovered that SDN opens up a whole assortment of possibilities for new services and more dynamic network management. One application to keep an eye on going forward is leveraging SDN technology to support various communication mediums and improve performance. Most major players in the telecom industry are well-underway with developing their SDN strategies, and those lagging behind will soon join the fold. According to a December 2016 report from Technology Business Research, most Tier 1 carriers will have fully embraced SDN by the end of 2018. The study concluded that it’s not a matter of if telcos will adopt this technology, but when. Some of the largest carriers have already made a lot of strides toward incorporating SDN into their network infrastructure. AT&T, for instance, managed to convert 34 percent of its network to SDN before the end of last year, reported Fierce Telecom. The telco giant isn’t slowing down its efforts, either – it expects that figure to reach 75 percent over the next two to three years. That will be a critical achievement for SDN adoption, as the technology will no longer be considered a disruptive development, but rather part of a telco’s foundational network infrastructure. In AT&T’s case, one of the major driving forces behind its decision to embrace SDN is the growing demand for data-intensive services like video. To keep up with the ever-increasing need for more data, companies require more flexibility with their network resources and how they are allocated. SDN enables such dynamic network management. Other telcos may be enticed by SDN’s ability to break them out of vendor lock-in. Because SDN decouples the data control and forwarding planes, telecoms have more options to choose from for their network equipment. They can decide to go with commodity hardware, for example, and maintain a high level of performance. This way, they aren’t beholden to a single provider for their network needs. Still others view SDN’s flexibility as an opportunity to explore new services and build upon current capabilities. To that end, some of the most exciting developments have occurred around various communication mediums and the ways in which SDN bolsters their performance. One of the most promising use cases for SDN deployment is in the field of satellite communications. These systems have been marred by design inefficiencies for years, but SDN could help open things up by providing a more flexible framework. The end result being more on-demand service provisioning for a telecom area that has been long associated with lengthy delays. Take, for instance, the energy sector’s need for communicating with remote field teams located in some of the most far-flung areas across the planet. Satellite communications are just about the only way to reach out to these individuals, but service quality can be sporadic. As Serro explained, SDN-enabled satellite systems can be provisioned in a timely manner, giving energy companies a more direct line of communication with their remote teams. That is a service that any such organization would be willing to pay for – and SDN-savvy companies can provide it. 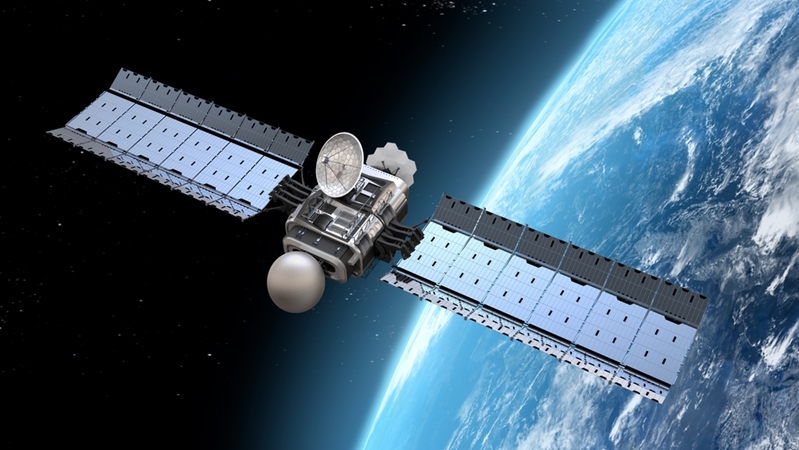 SDN could help make satellite communications more responsive. Another incredible use case for SDN technology is to help bridge the divide between terrestrial networks and their orbital counterparts. Laser Light Communications has made great strides in recent years improving optical satellite network capabilities and creating stronger connections across the entire globe. Producing a more unified worldwide has long been a major goal for communications firms, and now thanks to SDN, it could finally become a reality. SDN offers the dynamic responsiveness needed to shift around network assets on they fly, drastically reducing latency and improving network performance. Laser Light Communications recently tapped CloudSmartz to assist with this endeavor, forging a five-year partnership to explore SDN use cases and create a truly heterogeneous network topography. Once completed, the project will drastically increase data transfer rates between optical satellites in orbit and terrestrial networks down below. “While conventional transport systems require labor-intensive terrestrial infrastructure and are vulnerable to potential service disruptions, Laser Light’s system will deliver an alternative hybrid platform at lower operating costs, without sacrificing throughput capacities, greater reliability and unparalleled security,” said Laser Light CEO Robert Brumley. These applications are just the tip of the iceberg when it comes to SDN use cases in the telecom industry. With telco heavy hitters ramping up their investment in this technology, it’s only a matter of time before SDN becomes an industry standard. Telecom businesses can’t afford to fall behind and should be exploring their own uses for SDN-based services. Those that successfully integrate SDN into their networks will find ample opportunities for exciting new services that drive business value. Are telcos meeting customer expectations? Keep watching the skies: What’s next for SDN?